Sonia Friedman, the National Theatre and the Young Vic are backing a campaign to host a special performance of Calais refugee camp play The Jungle for the home secretary Sajid Javid. 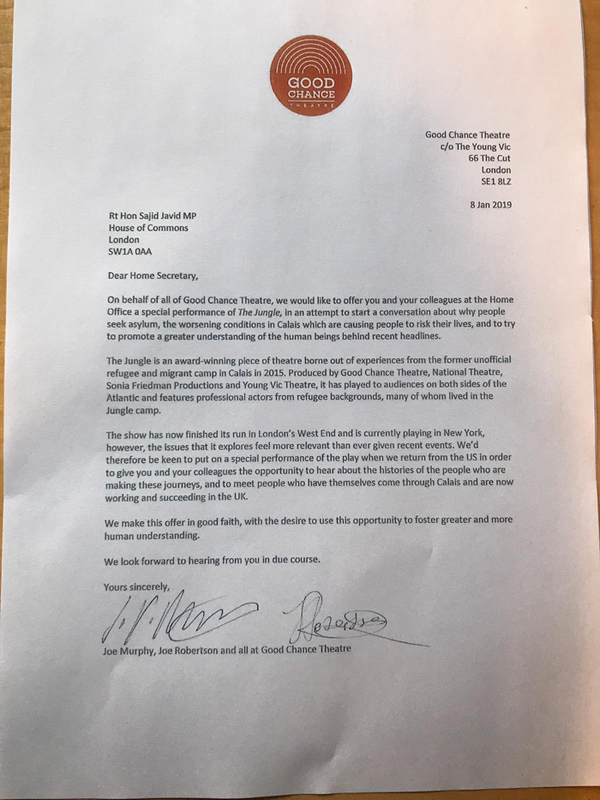 Good Chance Theatre, which works with refugees and asylum seekers, has sent a formal invitation for the MP and his colleagues in the home office the opportunity to see the show. Founders of Good Chance Theatre and writers of The Jungle , Joe Robertson and Joe Murphy, say they hope to “start a conversation about why people seek asylum” and “the worsening conditions in Calais which are causing people to risk their lives”. The letter was written in response to comments reported to have been made by Javid , questioning whether people risking their lives to cross the channel in order to reach the UK are “real, genuine asylum seekers”. If the invitation is accepted, the performance will take place in the UK following The Jungle’s run at St Ann’s Warehouse in New York, which closes on January 27. The Jungle premiered at the Young Vic Theatre  in December 2017, and was followed by a run at the Playhouse Theatre in the West End from June to November 2018. 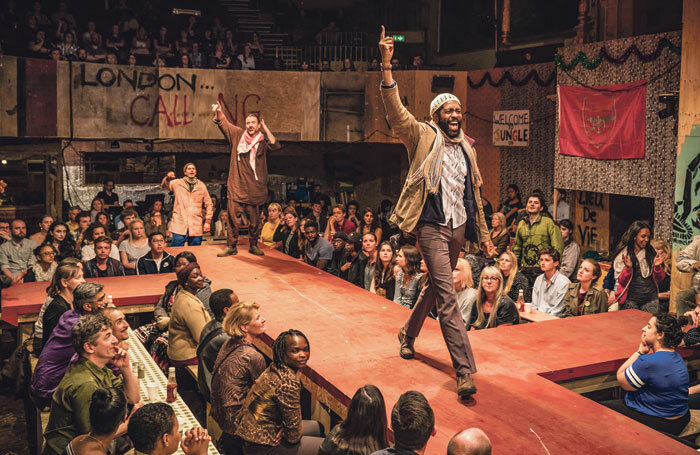 It is based on the experiences of Murphy and Robertson, who set up a temporary theatre in the Calais camp , and it stars actors from refugee backgrounds. Many individuals and organisations have pledged their support to the campaign on Twitter, using the hashtag #startaconversation. Supporters include the National Theatre, the Young Vic and Sonia Friedman Productions, all of which are producers of The Jungle, with the National tweeting that it would be “thrilled” to support “such an important piece that brings to life the complex human stories behind asylum claims”. 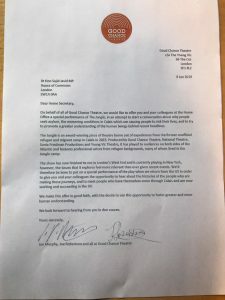 Sonia Friedman Productions tweeted that should the invitation be accepted, the company would be “delighted to produce this special performance”. Others to voice their support on Twitter include charities Help Refugees and Refugees at Home as well as theatre companies including Kneehigh, HighTide, Belarus Free Theatre and Cardboard Citizens. Murphy added: “This is not a criticism of Mr Javid, we want it to be an opportunity to learn from each other.